Liz Harris is another one of those artists that I always look forward to. I always can't wait to hear her next album. This is just more of the same of what we have come to love from Liz Harris AKA Grouper. Her albums are always so quiet that you just might miss them go right by you. But once you sit down and spend some time with it you realize how great it really is. Grouper is not for everyone. But this is what makes her so great. Those of us that love her keep coming back for more. There is always a simple beauty to these records and there is a feeling that I get while listening to this album that I really can't get from anything else. 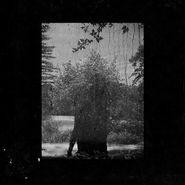 Recorded solely with a portable 4-track, stereo mic and an upright piano, Liz Harris’ 10th album as Grouper sheds the layers of reverb of previous work for something more intimate. Ruins is the perfect rainy-day album (of which Los Angelenos can now also accurately enjoy since it’s FINALLY raining here! ).